Death toll rises to four, 2 million people lose power as Irma devastates Florida. 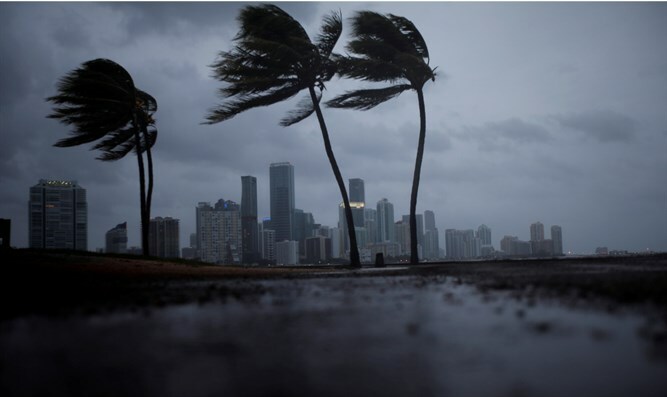 The death toll climbed to four Sunday, as Hurricane Irma pounded south Florida, moving up along the peninsula towards the Tampa Bay Area and the panhandle. One man died in Key West after he lost control of his truck while carrying a generator, ABC News reported. Two more died in a car crash, while an elderly man died after seeking shelter in a school in the Florida Keys. Hurricane Irma battered the Florida Keys Sunday morning before winding up towards Miami. The storm then shifted westward, moving towards the Tampa-St. Petersburg area on the west coast of the state. Cutting across the southern half of the state, Hurricane Irma knocked out electricity for more than 2.1 million people, with 120-miles-per-hour winds devastating the Naples area in southwestern Florida. The storm, which was initially rated as a Category 5 hurricane, is the strongest Atlantic storm to make landfall since 1935 and is the first to sustain speeds of 185 miles per hour for more than 36 hours. Irma was downgraded to a Category 3 storm off the south Florida coast before being upgraded to a Category 4 as it made landfall. The storm has since been downgraded again to a 3, though meteorologists warn it could regain strength yet again. "I know the winds are going to be very devastating and life threatening. But I'm also very concerned about the storm surge," Florida Governor Rick Scott (R.) told CBS. "Pray, pray for everybody in Florida," Scott said in a later interview with Fox News.